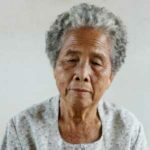 Ageing without children in Thailand: bad for mental health? Vieillir sans enfants en Thaïlande: un risque pour le bien-être psychologique ? Declining fertility and increasing migration are contributing to growing shares of older Thais who will age with few children, or none at all, or whose children live far away.